Stocks fell Friday, declining for the fourth time in the past five sessions and ending the week with losses of about 1 percent. There did not seem to be a clear reason for the sell-off. In U.S. economic news, wholesale inventories fell for the third consecutive month in June, causing economists to consider lowering second-quarter gross domestic product (GDP) estimates but indicating that growth could accelerate in the second half of the year. The U.S. dollar fell versus the euro and rose versus the yen. Light sweet crude futures rose slightly to above $106 a barrel on the New York Mercantile Exchange. Gold futures were virtually unchanged around $1,312 an ounce. The Dow Jones industrial average fell 72.81, or 0.5 percent, to 15,425.51. The broader Standard & Poorâ€™s 500 index fell 6.06, or 0.4 percent, to 1,691.42. 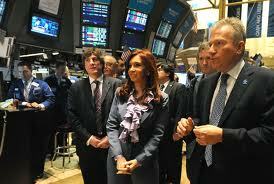 The technology-heavy Nasdaq composite index fell 9.01, or 0.25 percent, to 3,660.11.